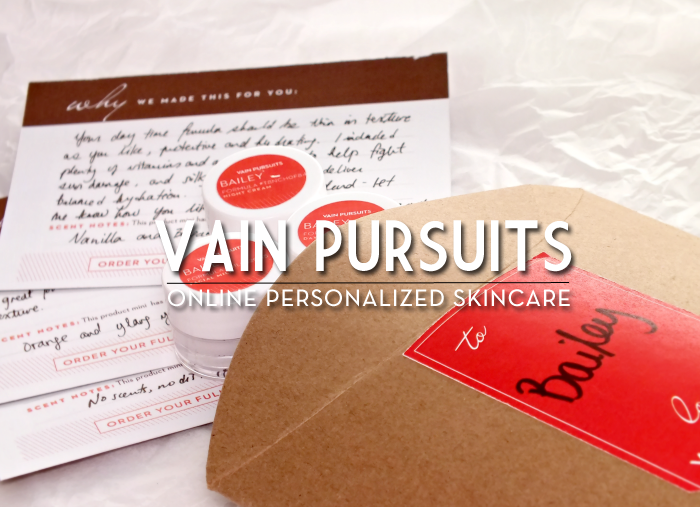 Vain Pursuits seems like a subscription service on the surface, but is actually much more than that. 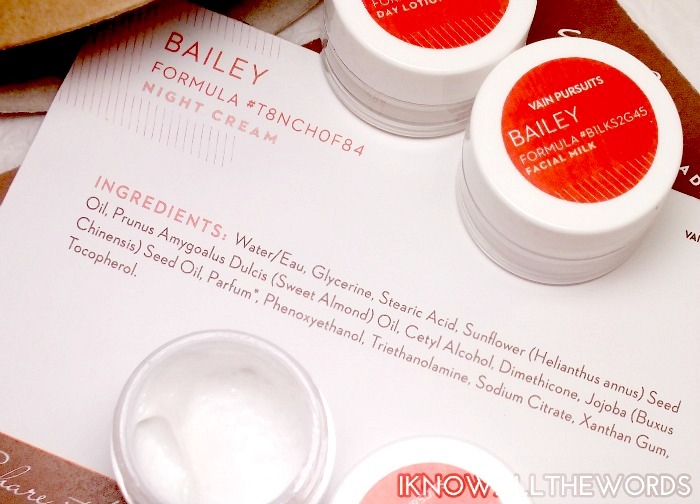 For $20 you're getting a selection of specialized skincare formulas made just to your liking along with your every own skincare Gal Pal (more on her in a moment!) Your $20 also covers the shipping of your vain kit, and is applied to the purchase of your first full size item- prices range from $45- $85. 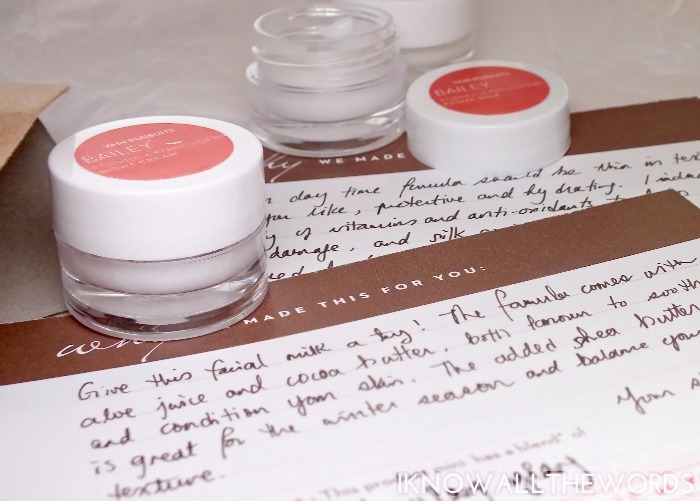 The products in your kit are adorable, as they're clad in your name- that always makes me super happy, as my name was never on anything growing up- and the name of the formula. 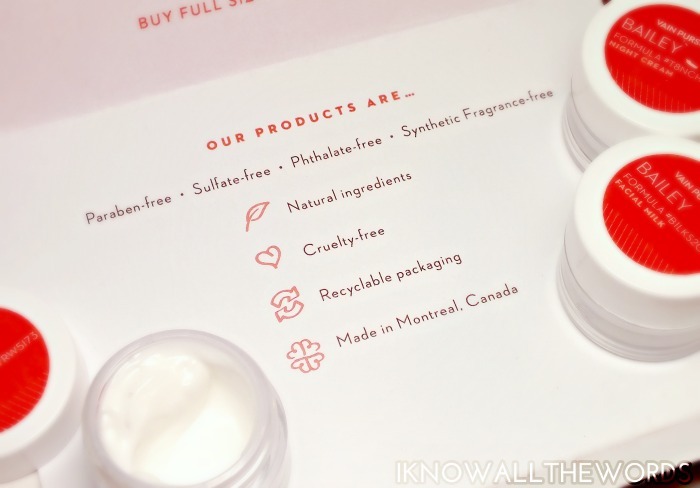 Each product comes with it's own card that includes the ingredients, some info about why it was selected for you and the scent. Oh, and they're hand written! How thoughtful is that?! While Vain Pursuits is totally different than any other service, what really sets them apart is their customer service. Your Gal Pal (mine is Ruby, hi Ruby!) 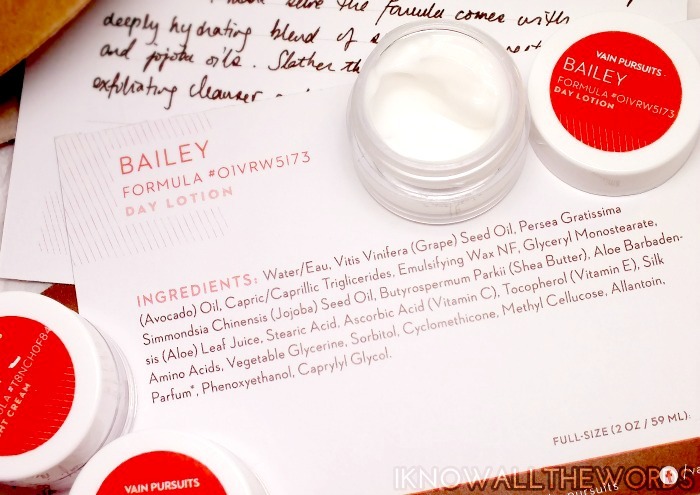 is the person who goes through your info- you take a pretty comprehensive skincare survey when you sign up- and selects the three products they think you'll enjoy. After you receive your package, your Gal Pal sends you an email to make sure you received your products and instructs you on how to proceed with testing them. She also goes over your initial thoughts on the formulas, like what you think of the texture, scent, ect. A lot of thought is put into making sure you're completely satisfied with your formulas. I was incredibly impressed with the fact that even though it was later in the evening by the time I was able to email Ruby the night I received my kit, she was still able to answer me back and get me started with my products that night. Not too many brands are able to offer such service. As mentioned, you get three formulas to test in your kit. I received Day Lotion, Facial Milk, and Night Cream. The Day Lotion has a medium consistency that absorbs easily into skin and provides a nice boost of hydration while feeling light on the skin. It's formulated with a range of vitamins and anti-oxidants to protect and nourish skin. Mine is scented with vanilla and Bergamot, which initially seemed a little too fruity- it almost smelled like fruit loops!- but ended up being scent I love. The scent has a fresh and sweet element that is a refreshing twist to your typical skincare scent. 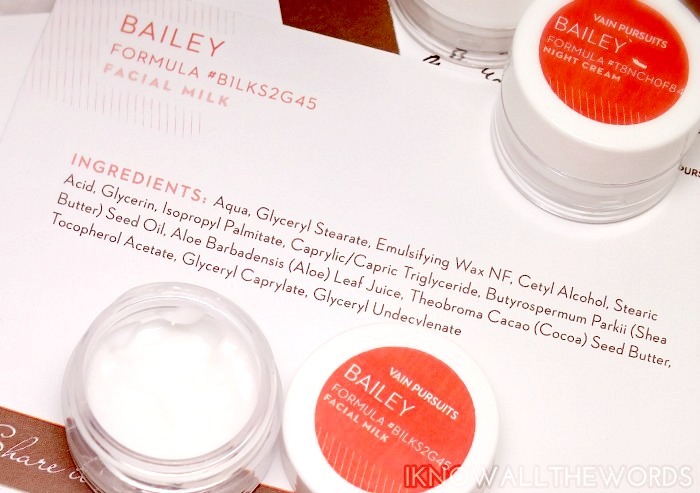 While I have enjoyed all of the formulas in my kit, the Facial Milk has won my heart. 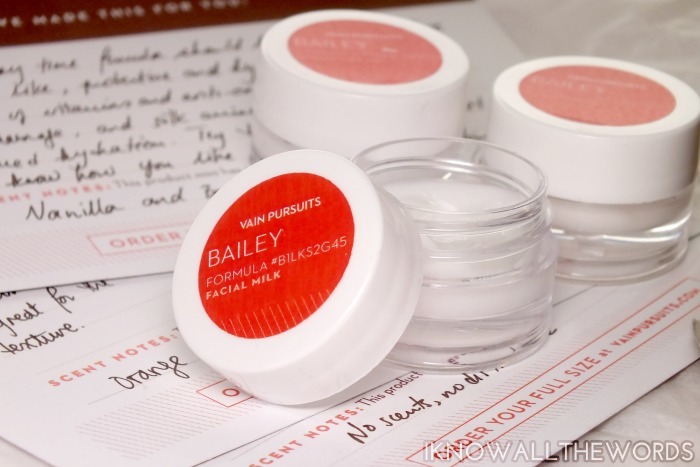 The formula is thin and lightweight, yet gives skin a pretty hefty does of hydration. It's a great formula for under makeup as it leaves skin feeling really smooth and silky to the touch. Mine is scented with orange and ylang ylang, which gives it a fresh yet soft floral scent that has a relaxing feel overall. Overall, I love the products and Vain Pursuits as a whole! The service is perfect for skincare lovers and novices alike as the Gal Pal assistance assures everyone gets exactly what works for their needs. This makes a really thoughtful gift too. Have you tried the service? Would you?